Once again, hidden on the fog shrouded streets of London are heinous criminals set upon their nefarious schemes. All that stands in their way are two men, stalwart and unafraid to take on villainy in all its insidious disguises: Sherlock Holmes and Dr. Watson. In this, the ninth entry in this best-selling series, the crime-solving friends tackle five brand new mysteries that are totally different to any of their previous adventures. Among these: An entire crew of a shoreline lighthouse vanishes during a raging storm, one of Watson's old army colleagues is accused of murder, and a former Baker Street Irregular seeks out their aid on behalf of his crippled father. These three cases and two others are brilliantly delivered by writers I. 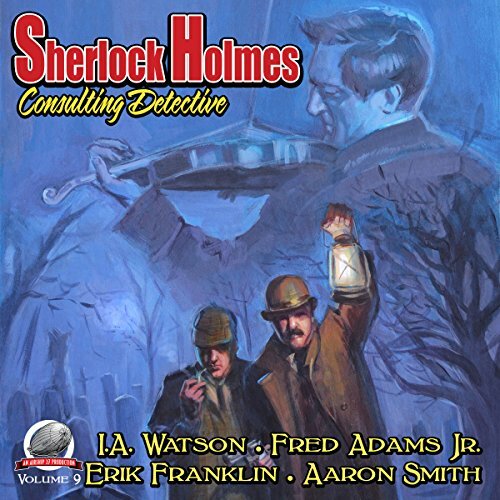 A. Watson, Fred Adams Jr., Erik Franklin, and Aaron Smith, proving once again there is only one Sherlock Holmes, Consulting Detective.